Home Blog What Is the Proper German Business Etiquette? What Is the Business Culture of Germany? Before you begin working your way to foreign language fluency, it helps to understand the culture behind the language you’re learning. After all, language exists to help a group of people express their ideas and beliefs. Germany is an old country with a rich history and culture. 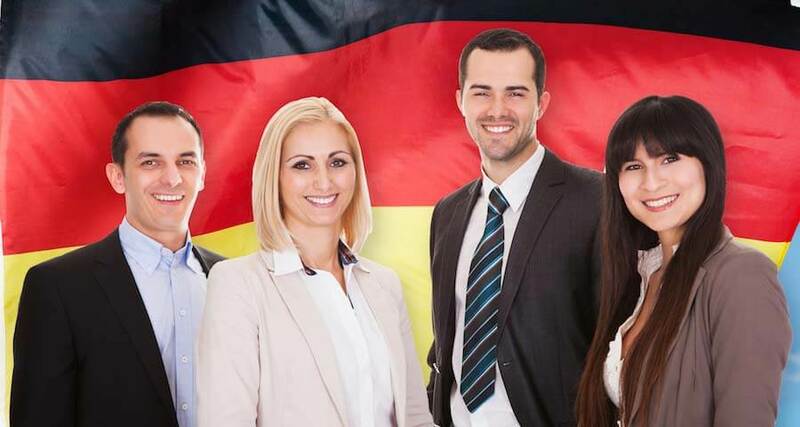 As you begin your German language program, gaining a strong grasp on this history, the values, and the etiquette will help you rapidly achieve success. In particular, if you want to do business in Germany, you need to know the proper etiquette and also how to interact with other business professionals in Germany. Just like in Japan, protocol and diplomacy are very crucial ingredients of the business in Germany. Your general conduct and the way you do business in Germany determine the success of your business. Despite the fact that a significant fraction of the German population beliefs in the maxim that “life is too short,” those who believe in protocol and diplomacy in running their businesses are better than their American and British counterparts. The American and British business operators are not well versed with certain aspect of the German business practice; hence, they are not able to compete with the Germans favorably in terms of business. The Germany’s mode of business mainly involves data, deals, and a schedule-based style of business, which is also fairly formal in nature. This mode of business is similar to that found in Britain. However, it differs from the business style of the United Sates, which is more expensive and less formal. It is clear that office workers in Germany are more formal than their counterparts in English-speaking nations. As a matter of fact, people prefer using their surnames as opposed to other names, which are considered informal. Additionally, people in offices show little or no interest in the personal affairs of their colleagues. By comparison, their counterparts in the United States and Britain like informal dress code. In fact, in the British and American Offices, workers have a “dress-down Friday” habit where they wear less formal clothes. To them, formal dress code is only necessary when they are dealing with visitors or attending a formal meeting. In Germany, business clothes are highly practical and the Germans prefer well-cut clothing of high-quality in nature. They place value on business clothes that coordinate styles, patterns, and colors for a more complete look. According to the Germans, “business casual” may be interpreted to mean a casual attitude towards business, which means lack of seriousness in matters of business. The safest way of dressing is to wear a sober jacket and tie, or a dark suit if you are not sure of the most appropriate dress code. Conservative clothes are most ideal for females when attending a first meeting. Wearing pantsuits are considered perfectly acceptable. Germany boasts the strongest economy in Europe. In terms of GDP, Germany occupies the fourth position behind US, Japan, and China. In terms of industry, Germany is viewed as a model of economic management. One of the key features of the German economy that has enabled it to remain successful despite the economic problems experienced in Europe in 2008 is its low-wage nature. However, like other European nations, Germany’s economy experiences pressure. The strength of the German economy lies in its manufacturing industry and its status as the European chief exporter to China. The German economy needs to develop the services industry, which does not require intensive investment, and it is also more profitable. Although Germany has had a proper transportation infrastructure, the infrastructure has become old and needs upgrading. In terms of labor, the workforce in Germany is ageing fast; hence, there is a growing need for replacement. As a result, the immigration policy in Germany has been relaxed a bit as part of the measures to address the issue of the ageing labor force. Germany’s apprenticeship trains those leaving school to provide them with engineering and technical skills. The younger generation seems to dislike this form of training. In other European nations, however, this kind of training is seen as critical in addressing post-school unemployment problem. It looks like a minor thing but is important for men. While in a workshop or meeting, especially where German management team is present, etiquette demands that you should not be the first one to remove your jacket because of the nature of the German meetings. They are usually very formal; hence, removal of a jacket is taken to mean the meeting has come to an end and people can now relax since there is no other serious business. Typically, a traditional German office has its door closed most of the time and the environment is often characterized by maximum silence. Door closure is meant to enhance privacy, especially, during meetings. Also, you do not just bump into the venue when the meeting is on-going. Interrupting such meetings involves knocking on the door and waiting patiently to be invited to enter. If you are not invited, it is only right that you should not attempt to enter. As opposed to some offices where you can take family photos and share moments with your loved ones, German offices do not allow such moments with your family. There is also the “clear desk” policy that must be observed where you have to clear your office desk of any papers before leaving the office. Leaving your office desk neat and clear of papers is regarded as a norm.